Synopsis: Make Money From Home Based Business found at - www.MakeMoneyFromHomeBasedBusiness.com is a quick and easy system for making money from home by offering the reader a complete home based business in a box. High Strong Demand product - Healthy Food and Drinks PLUS a Marketing System that automatically finds you new customers and distributors every day. You get a business that delivers product to people who must have these products every day of their lives - Food and Drink, but not just ordinary food and drinks, Food and Drinks that keep a person healthy, avoiding the doctors and hospitals, by preventing the most common diseases and even curing some. The reader is also introduced to an Internet Marketing System that works to bring in many new customers and sub-distributors into your business every day. This system is Free and has been created by the Internet's top trainers and successful entrepreneurs. By simply giving this system away to your downline, you grow your business automatically and reach new heights of success. Works with any current business you may have as well. Builds multiple generations of buyers within days who also want and need your products. They in turn find you more customers and distributors using this same proven marketing system for your success. This process goes on to infinity. No Selling Required. 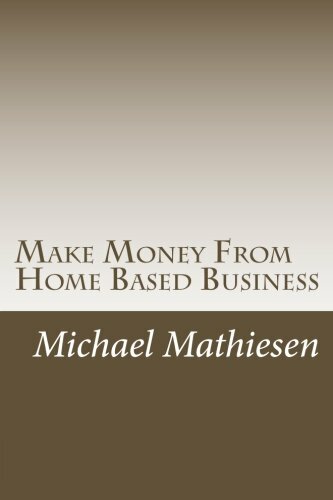 The author - Mike Mathiesen is an expert at Marketing On The Internet and wrote the first book by that title. He currently successfully markets training, books, videos, and health care products online using these same techniques.